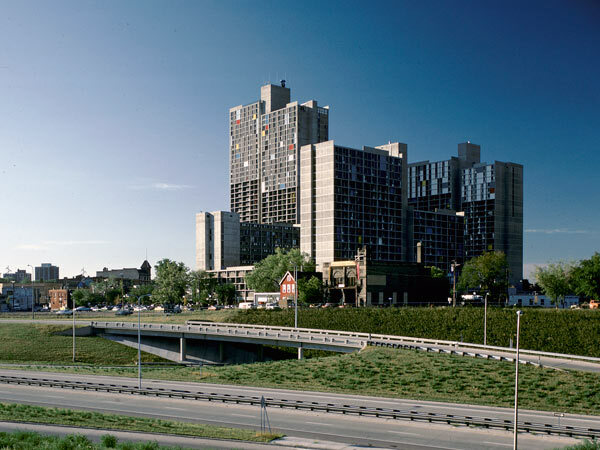 In 1966 the Minneapolis city council unveiled a plan to redevelop 100 acres of urban land adjacent to downtown, just south of the Mississippi River and flanking Cedar Avenue. Nestled between two interstates, the project was partially funded by the U.S. Department of Housing and Urban Development, the first “New Towns – In Town” initiative under Title VII. 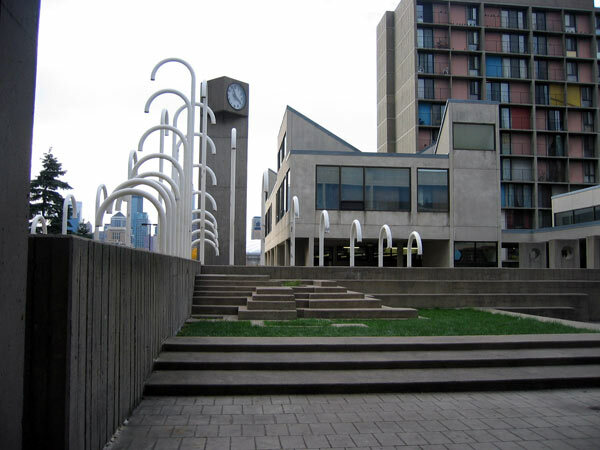 Called Cedar Square West, the mixed-use development was planned and designed by architect Ralph Rapson in 1968. Lawrence Halprin contributed the environmental impact study, while Kalvin Platt and Jim Reeves representing Sasaki, Walker and Associates (now SWA Group) provided site planning and landscape design. Later phases of the project included retail, office, hotel and cultural facilities. 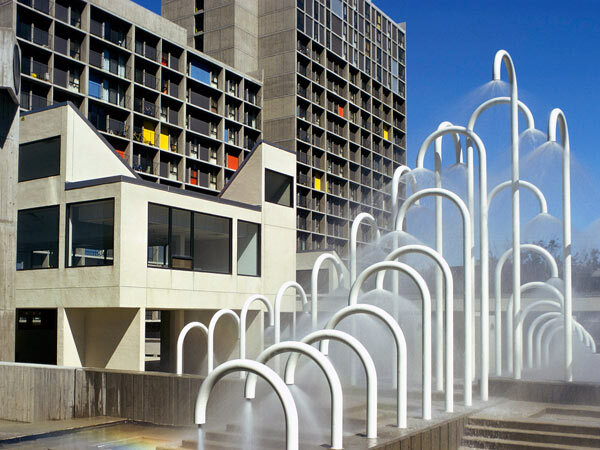 Constructed between 1970 and 1974, the 8-acre complex comprises 11 contiguous, Brutalist-style concrete buildings of varying heights (from two to 39 stories) arranged around a central plaza featuring a fountain and an amphitheater. 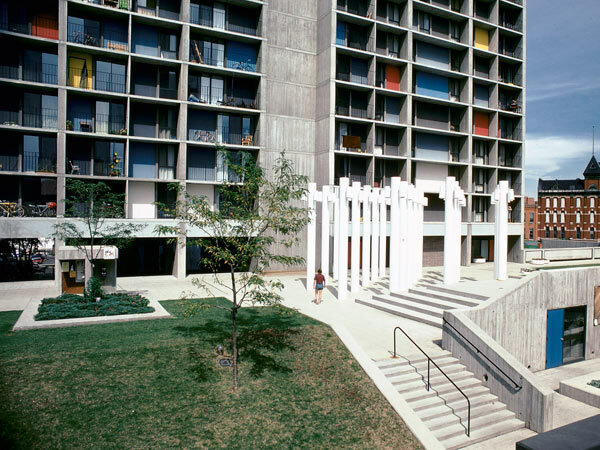 The high-rise residential towers were linked with skyways and elevated pedestrian plazas. Parking was submerged beneath the main plaza, and vehicular traffic separated from pedestrian ways and bicycle paths by grade changes. 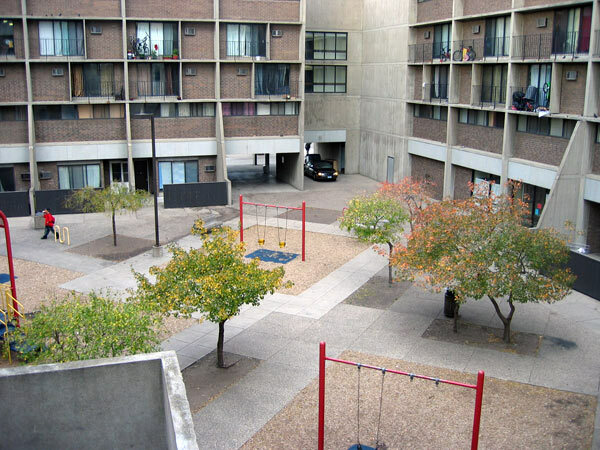 Outdoor spaces consisted of landscaped rooftops, patios, concrete-paved plazas, a swimming pool area and a playground. 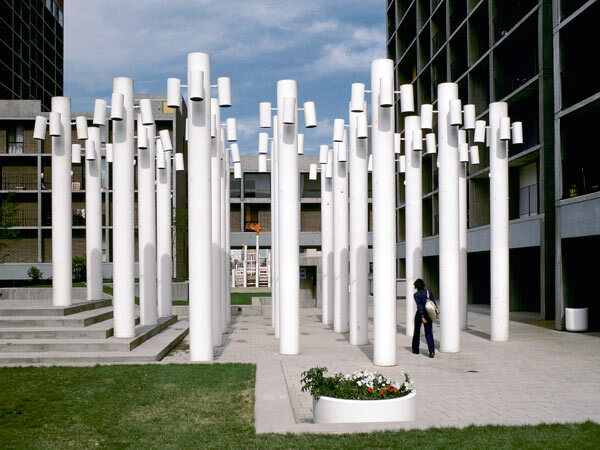 Sasaki, Walker and Associates also created street furniture, signs, and lighting. The property was bought by a limited partnership in 1988 and renamed Riverside Plaza. 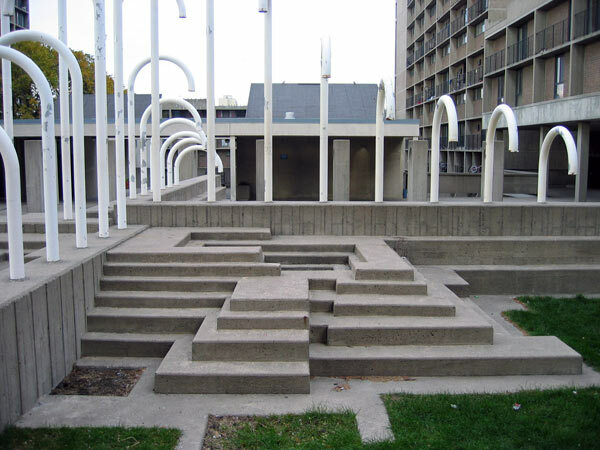 Between 1989 and 1990, an unused elevated concrete walkway over Cedar Avenue was removed, and the swimming pool was replaced by a playground. Cedar Square West was listed in the National Register of Historic Places in 2010.